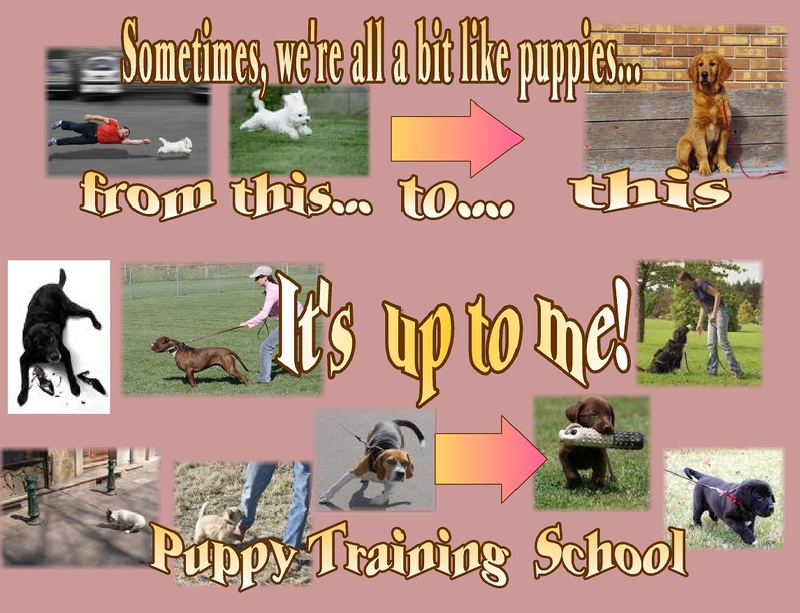 I sometimes find it useful to use a bit of humor when I’m trying to learn or to change. 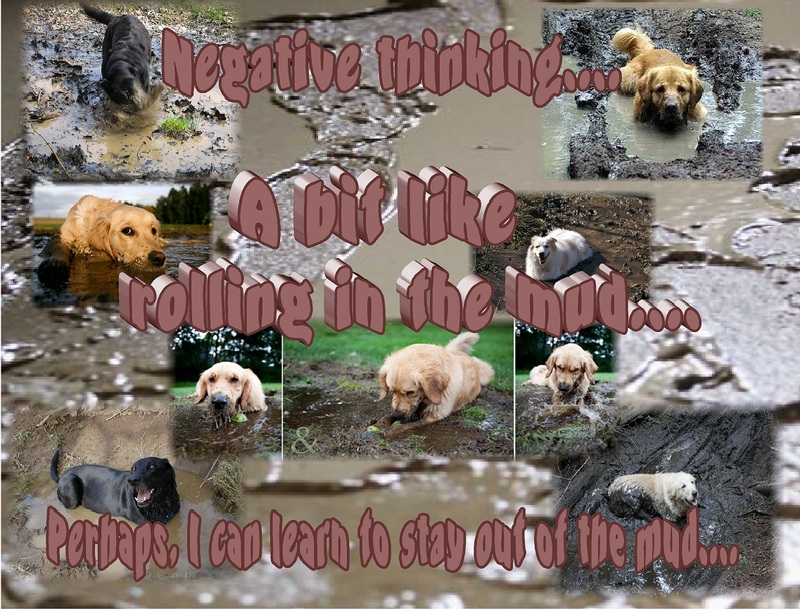 Becoming aware of my own negative thinking is a bit tough as it is, so a tiny bit of humor about it can help...and, hence these pages…Muddy Dog Thinking. 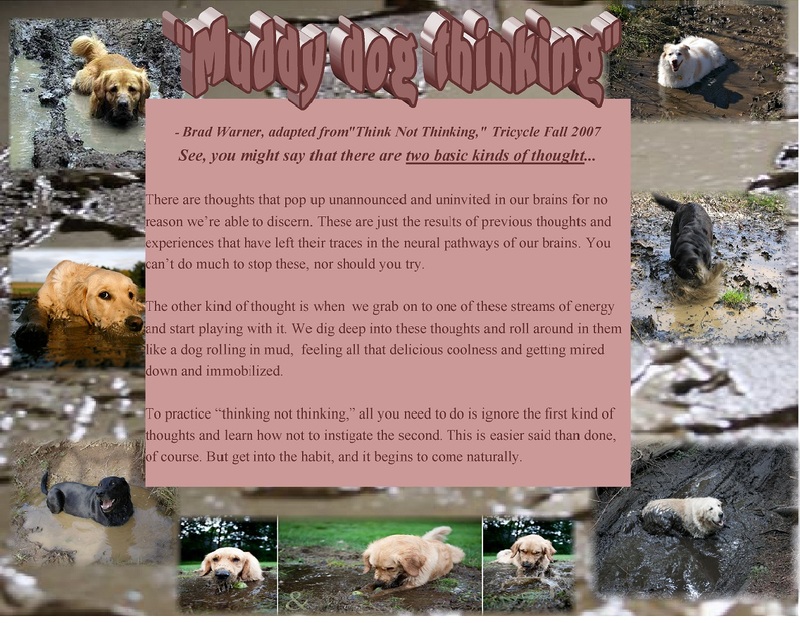 I made the pages for my own use, but the 10 and 11 year old boys in my class loved those puppies and really got the ideas ..and it was a great way to help both them and myself become more aware of our “muddy dog thinking”. 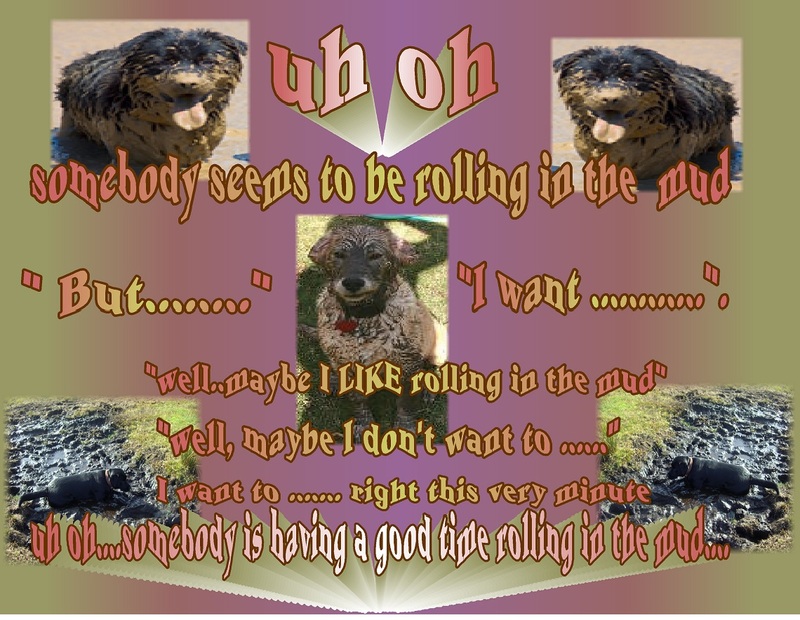 Brad Warner, the author of that Tricycle article, Thinking Not Thinking , used the idea of “pigs” rolling in the mud…but I found that the idea of pigs less appealing, so I changed it to “puppies/dogs” rolling in the mud. 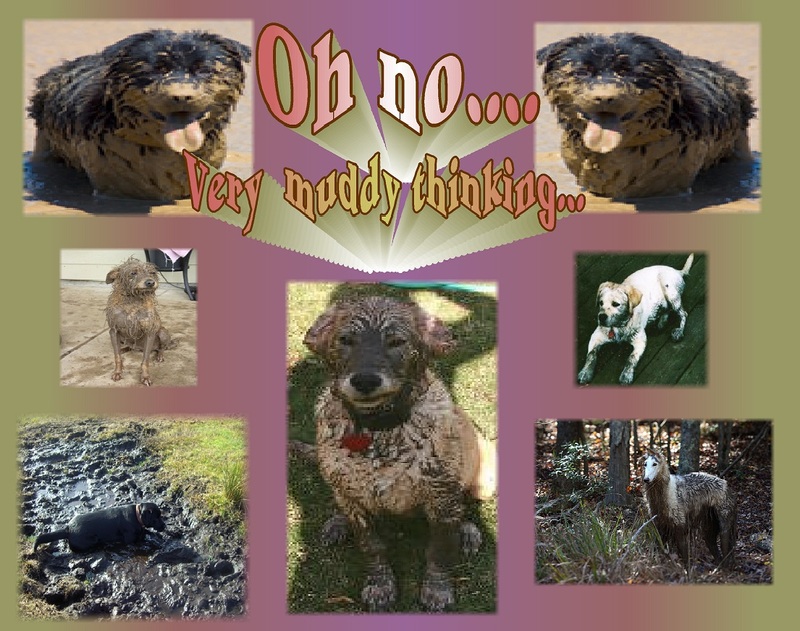 I also used “muddy dogs”, because I have direct experience with the huge amount of working and effort it takes to clean a dog up after it rolls in the mud…and the damage a muddy dog can do to everything around it…a bit similar to how negative thinking can be damaging both to myself and others. 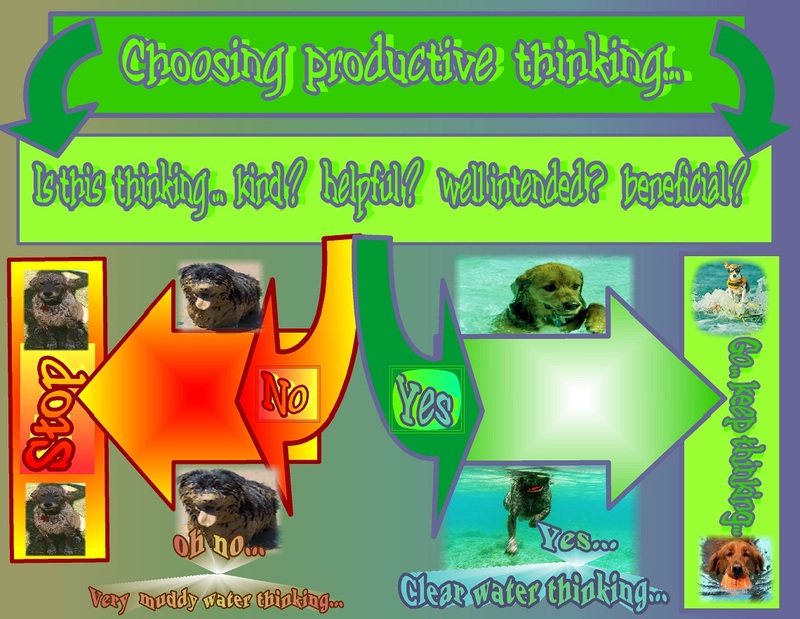 So, the photos are funny, but I know that kind of thinking can have many unpleasant consequences. 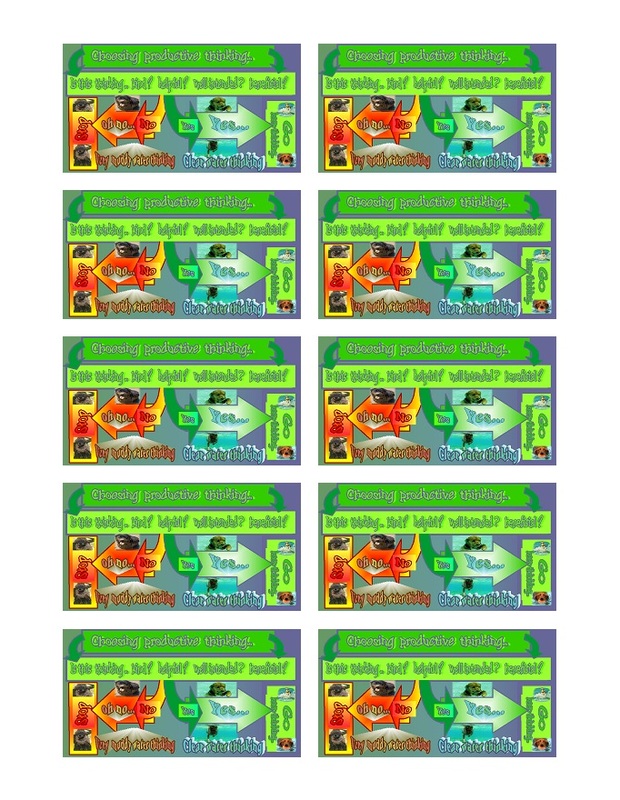 ps…I bet it’s obvious…making these particular pages was sooooooo much fun!